Сейчас есть группы людей по всей России, которые хотят творить под руководством Анастасии. В 2004 году насчитывалось 150 эко-деревень (родовых поселений), которые были созданы по образу ее мышления. Многие семьи вдохновленные Анастасией, активно используют дачи как способ решения мировых проблем, передавая детям духовный опыт в виде заботы о природе, земле и Родине. 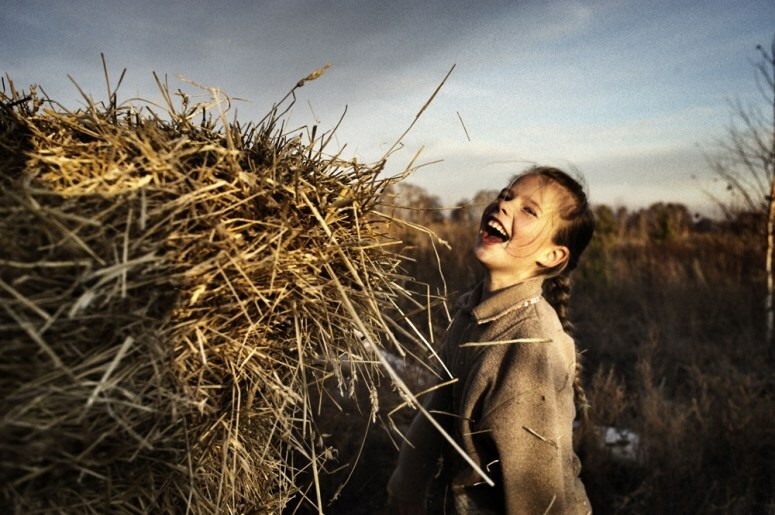 More than half of the food in Russia is produced ecologically thanks to the millions of families that grow their own parcels in their leisure time. 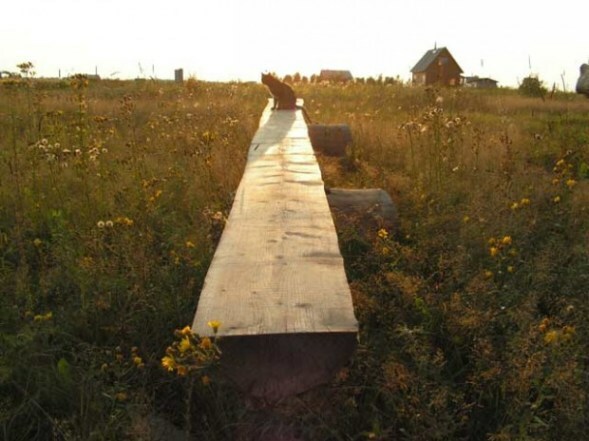 The Russian state gives away such parcels for free for non-commercial agricultural purposes. For the Russian people this is a culture consisting of widely connected networks with supplies of healthy fresh food and a family friendly lifestyle (kinship domains). This self subsistence also has a spiritual side inspired by the book series about the woman Anastasia who lives in the Siberian forests (Norwegian version here). Already in 1999, 35 million family run parcels produced 90% of the country’s potatoes, 77% of the vegetables, 87% of the fruit, 59% of the meat and 49% of the milk. This means that 105 million people or 71% of the country’s population grew ecological food for own use. These numbers have probably risen since then. Just in the Moscow region there are today 1 million such parcels (dachas). The Russian state gives away such pieces of land that cannot be sold but only passed on through heritage. Such a dacha can vary in size but is mostly large enough to feed a family and produce a surplus that is partly stored, but also given away to a great degree in large extended networks of sharing which always have fresh food in circulation. The production is non-commercial and therefore free of taxation. 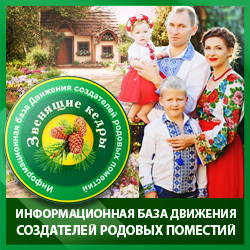 From May and onwards to September the families commute in the weekends and spend their summer holidays at their dachas in order to provide healthy food and increase the family economy to a significant degree. In particular, they grow potatoes which are seen as too important to be let in the hands of commercial interests, but they also grow plenty of carrots, onions, cucumbers, garlic, red beets, tomatoes, squash, radishes and some herbs. Also fruit trees and berry bushes are richly planted and harvested, so that in reality what has been created is more precisely called permaculture. It is common to have more than six kinds of fruits and berries such as red currants, apples, red raspberry, gooseberry, plums, strawberries and pears. 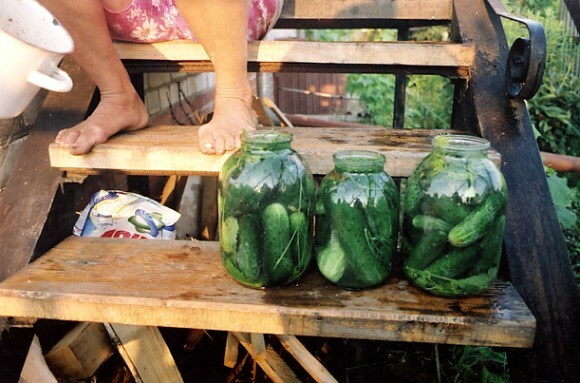 Life at the dachas is cemented in the Russian culture, as a basis for family life and upbringing. When the family is at the dacha it is the end for sloth in front of the TV, quarrels, hustle and bustle, and being centered around narrow egocentric perspectives. 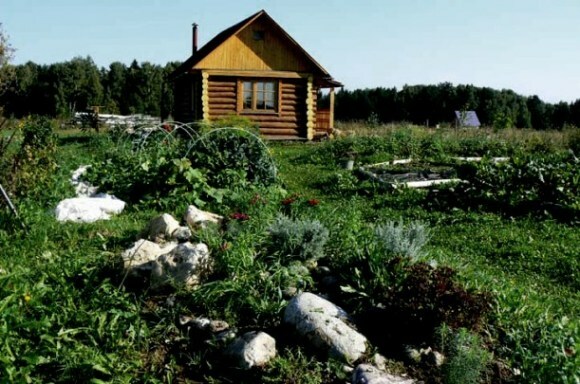 There everyone finds something to do after his own heart; father does some carpenting on the cabin, mother does some weeding among the vegetables, while the children and the dog run freely and come together with other children in the dacha neighbourhood. 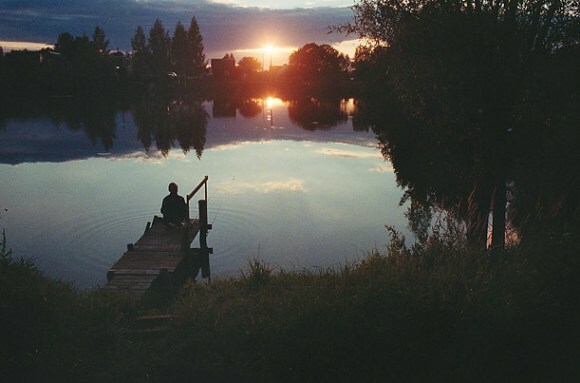 The children get to play and form in freedom and closeness to nature, and therefore it is said that children as well are grown in the dachas. The evenings and the nights are spend in togetherness in the family’s little cabin without phone or running water. Earth is holy to the Russians. The relationship between human and earth is holy and spiritual. 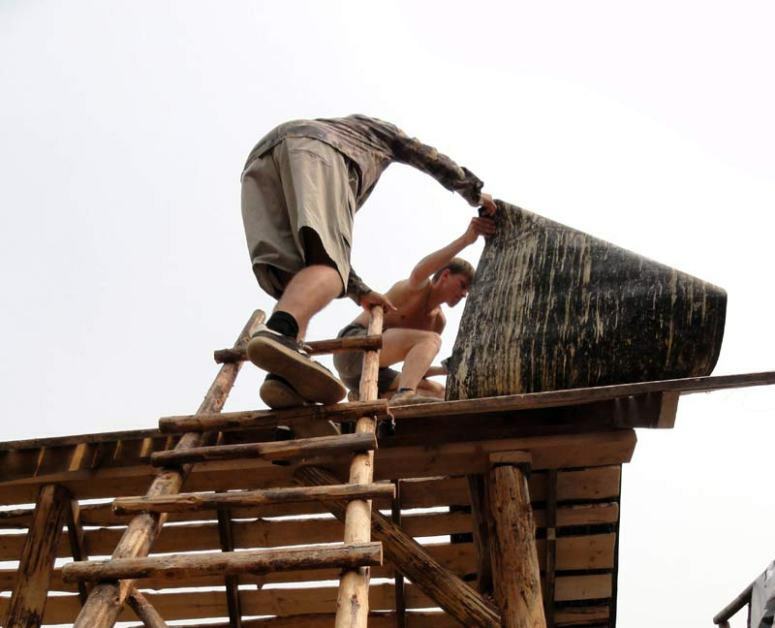 This is a heritage from past heathen times in Russia which has survived to this day in agriculture. Therefore the work with the land is counted as more than just a piece of labour. It is in itself healthy and strengthening for the soul and healing for the body and mind. During the later years this spirituality has been given a new boost through the publishing of the book series The Ringing Cedars, by Vladimir Megré. A Russian woman named Anastasia grew up in the Siberian forests in close contact with wild animals and nature, without civilizing influence such as schooling or learning how to read or write. With a spiritual understanding of nature, she shows a deeper understanding of the world’s problems, and gives advice and practical guidance to humanity onwards for creating a better world. No publishing house wanted to print the first book, so the author positioned himself on the street corner and sold bundles of it. As of today 10 million of these books have been sold in Russia as a pure underground phenomenon, and the book series has now been translated to over 20 languages. Anastasia’s spirituality stands in direct connection with the ancestors’ way of life thousands of years back in time, and she initiates us to what the dolmens where used for. The dolmens which also exist in Southern Scandinavia and once stood here in the tens of thousands. She tells us and shows us, how the world since then has become as it has with its problems and hostility towards nature. Several thousands of years ago there were born some people who didn’t understand how to cooperate with nature. These people therefore more and more invented technically advanced solutions in order to be able to survive. They chose to dominate nature and other people and created hierarchical dogma based societal forms which since then have spread over the entire world, and this is the world as we know it today. The mark of such societies is that they need dogmas in order to keep people from discovering the internal truth, but therefore these societies also collapse with regularity because the dogmas sooner or later will be torn down. The mission of Anastasia is that we shall become Human Being again with big letters, that we shall learn to use our full capacity again. She gives guidance and fully usable practical advices for anything from child raising to schools and agriculture. The most important thing now is to create one’s own family paradise of 1 hectare of land where the land is grown with permaculture, and dedicate the land to the family in the generations to come. We create our Motherland as Anastasia says. By doing this we disconnect from the hierarchical system and form an impregnable Space of Love, where we can find safety and meet the world from there. We learn love for ourselves and the earth, and come into harmony with the laws of the universe. We, the Human Being, will with 1 hectare of kin’s land for each of us again learn to create in love and come into good relations with eachother and nature. In Russia, this book series with these sentient thoughts has made its cultural impact. Even at government level one hears about Anastasia because people don’t stop sending letters with the influence of Anastasia’s perspectives. The books have been on TV and in the newspapers. Songs and poems are written about her. The author Vladimir Megré counted some years back 40 000 thanking letters, and equally many people have turned their lives around after having read the books. There are now local groups all over Russia who want to create by the guidance of Anastasia. In the year 2004 it was counted 150 new eco-villages that had risen by her way of thinking. Many of the families now actively use their dachas as a way of solving world problems by giving the children spiritual self experience in taking care of nature, earth and Motherland, inspired by Anastasia. It isn’t more than 50 years ago that we could find people in Norway who lived by self-subsistence corresponding with what the Russians are doing today. Even in central industrialized places in Eastern Norway there were people who did self-subsistence in addition to functioning at a modern work place with modern working hours in the city’s center. What was needed was an earth tiller with an engine and the willingness to utilize Saturday and Sunday for something useful, and in such a way entire families were self-supplied with potatoes, vegetables, fruits and berries. This is good to know when we know that this need will arise once again in the future while still living in a technologically advanced society. It is probably not a bad idea to start doing this already today. Today the situation for Norway is such that we have created a complex system consisting of politicians, food authorities, supermarkets and the capital’s driving force to produce food. All this for something which in itself is so simple that there is no need for any system to handle it. The purpose of producing food is gone when that which is the bottom line in the end is the money profit, and all those involved in reality are working on maintaining the systems instead of producing food. With such a bottom line the pronounced purpose of it all stays out, which was to give people a healthy and good food.